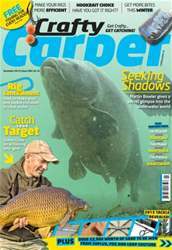 The January issue of Crafty Carper is out now and it’s packed full of great features from some of the top names in the game including Adam Penning, Martin Bowler, Simon Crow, Ian Russell, Julian Cundiff, Tim Paisley, Tom Maker and Dave Lane. 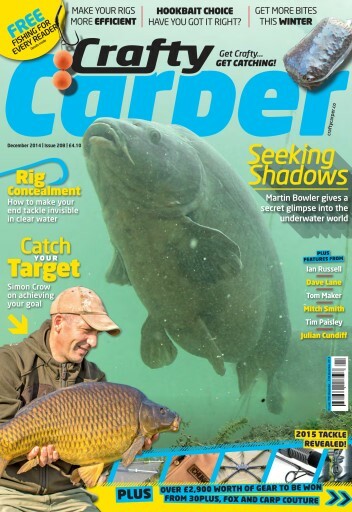 Just a sample of the topics covered to help you catch more carp are single hookbait choice, hot mush baiting, Hair length explained and rig concealment as well as taking a look at Jones Pit 25 years on and the stunning Quarry in Essex. Do you think we, as carp anglers could learn a thing or two from the match lads to help us keep catching through the winter? We do and we go on the bank with a Fish ‘o’ Mania finalist to get all the details as he bags double figure carp for fun all day. There are over £2,900 worth of prizes to be won from the likes of Carp Couture, Fox and 30Plus and we take a close look at loads of new items of tackle set to hit the shelves in 2015.